Both reactive oxygen- and nitrogen-derived reactive species play important roles in physiological and pathophysiological conditions. Flavones, luteolin and luteolin-7-O-glucoside along with a rich plant source of both flavones, namely dandelion (Taraxacum officinale) flower extract were studied for antioxidant activity in different in vitro model systems. 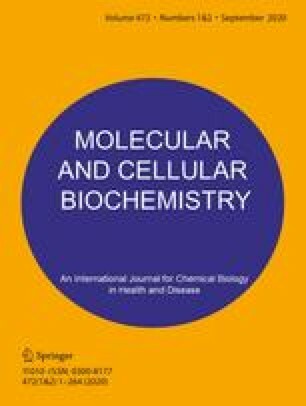 In this current study, luteolin and luteolin-7-O-glucoside at concentrations lower than 20 μM, significantly (p < 0.05) suppressed the productions of nitric oxide and prostaglandin E2 (PGE2) in bacterial lipopolysaccharide activated-mouse macrophage RAW264.7 cells without introducing cytotoxicity. The inhibitory effects were further attributed to the suppression of both inducible nitric oxide synthase (iNOS) and cyclooxygenase-2 (COX-2) protein expression, and not reduced enzymatic activity. Similar suppression for both inducible enzymes was also found with the presence of dandelion flower extract, specifically, the ethyl acetate fraction of dandelion flower extract which contained 10% luteolin and luteolin-7-O-glucoside.